ENSENADA, Baja California, Mexico—After bulldogging their way through 1,802.68 dusty, crusty, challenging, grueling and unforgiving SCORE Baja desert racing miles, 43 of the world’s best desert racers have survived the challenge of the four-race 2018 SCORE World Desert Championship and emerged to earn coveted 2018 SCORE Milestone Awards. The 43 racers, competing in 22 different classes in the series for cars, trucks, UTVs, motorcycles and quads, earned their prestigious honors by finishing every required mile in the World’s Foremost Desert Racing Series. The 2018 SCORE World Desert Championship ended in mid-November with the 806.76-mile 51st Annual SCORE Baja 1000 that started and finished in Ensenada, Baja California, Mexico. SCORE is presenting these prestigious awards to the world’s toughest desert racers for the 33rd consecutive year. The SCORE Milestone awards are presented to the car, truck, UTV drivers and motorcycle, quad riders who finish every required mile in the 2017 SCORE World Desert Championship. The 43 total winners is the all-time record for the award, breaking the mark set in 2016 (31) and tied last year in the 33-year history of the award. Leading the way in the chase for 2018 SCORE Milestone Awards were four superlative stallions in the featured SCORE Trophy Truck division, two in the unlimited Class 1, four in Trophy Truck Spec, three in Class 10, six in Pro UTV FI (Forced Injection), three in Pro Moto Unlimited, two in Pro Moto 30 (riders over 30 years old), two in Pro Moto 40 (riders over 40 years old) and two in Pro Moto Ironman (solo riders). Among the four SCORE Trophy Truck thoroughbreds who galloped through every challenging race mile this season were: Rob MacCachren, Las Vegas (No. 11 Rockstar MacCachren Motorsports Ford F-150), Cameron Steele, San Clemente, Calif. (No. 16 Monster Energy Desert Assassins Chevy Silverado), Las Vegas brothers Tim Herbst/Ed Herbst (No. 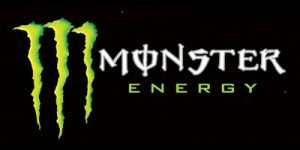 19 Monster Energy Terrible Herbst Motorsports Ford F-150) and Chris Miller, Rancho Santa Fe, Calif. (No. 40 Toyota Tundra). The racers who earned the coveted awards from Class 1 for unlimited open-wheel desert race cars were Brad Wilson, Long Beach, Calif. (No. 153, Jimco-Chevy) and Brandon Bailey, Riverside, Calif. (No. 129, PPI/Jefferies-Chevy). Leading the four racers in Trophy Truck Spec were Bryce Swaim, El Cajon, Calif. (No. 242, TSCO-Chevy),William Hedrick Jr, Vicente Guerrero, Mexico (No. 295, ID-Chevy) and Elias Hanna, Ensenada, Mexico (No. 200, Chevy Silverado). The three drivers who won these prestigious awards from the super-competitive Class 10 for single or two-seat open wheel desert race cars with limited engines were Todd Winslow, Clovis, Calif. (No. 1081, Alumi Craft-Chevy), Ty Godde, Palmdale, Calif. (No. 1049 Eversen-Chevy) and Kevin Price, Fremont, Calif. (No. 1048 Tatum-Chevy). 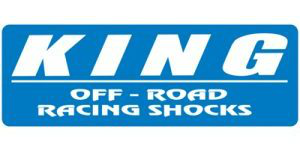 Leading the six racers in the Pro UTV FI (Forced Induction) class who earned 2018 SCORE Milestone Awards were Wayne Matlock, Alpine, Calif. (No. 2971, Polaris RZR XP4 Turbo), Tony Riggs, Newhall, Calif. (No. 2912, Polaris RZR Turbo) and Brandon Schueler, Phoenix (No. 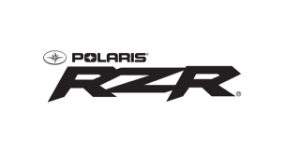 2919, Polaris RZR XP4 Turbo). Leading the motorcycle classes, Pro Moto Unlimited had three racers win 2018 SCORE Milestone Awards. These sturdy groups of riders were led by the teams headed by riders of records Justin Morgan, El Cajon, Calif. (No. 7x Honda CRF450X), Santiago Creel, Mexico City (No. 66x KTM 450EXCF) and Dakar Rally racer Garrett Poucher, Valencia, Calif. (No. 3x Honda CRF450X). Led by Rob MacCachren, 15 of this year’s SCORE Milestone Award winners have now earned this award more than once. It was the eighth SCORE Milestone Award for Las Vegas’ MacCachren including four in SCORE Trophy Truck (2011, 2012, 2013, 2018). Elias Hanna, Ensenada, Mexico, in Trophy Truck Spec has now earned five SCORE Milestone Awards as had Dan Chamlee, Montecito, Calif., in Class 7. Capturing their fourth SCORE Milestone Awards in 2018 were Tim Herbst, Las Vegas (SCORE Trophy Truck), Brad Wilson, Long Beach, Calif. (Class 1) and Brandon Schueler, Phoenix (Pro UTV FI). Earning their third SCORE Milestone Awards in 2018 were Cameron Steele (SCORE Trophy Truck), Santiago Creel (Pro Moto Unlimited and Pro Moto Limited), Jano Montoya, Winter Garden, Fla. (Peru) (Pro Moto 40), Giovanni Spinali, El Cajon, Calif. (Pro Moto 50) and Said Sanchez, Tijuana, Mexico (Pro Quad). The racers who picked up their second SCORE Milestone Award in 2018 were Todd Winslow, Clovis, Calif. (Class 10), Ty Godde, Palmdale, Calif. (Class 10), Oscar Alvarez, McAllen, Texas (Class 1/2-1600) and Garrett Poucher, Valencia, Calif. (Pro Moto Unlimited). The remaining 27 racers each earned their first SCORE Milestone Award in 2018. 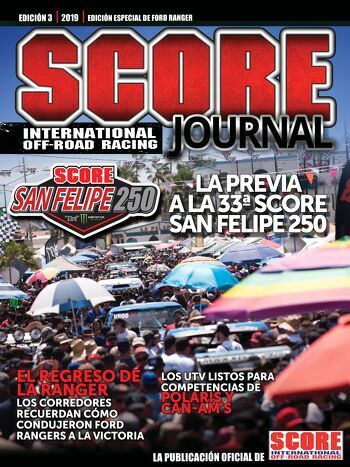 The 2018 SCORE World Desert Championship was comprised of the four SCORE Baja races—the 32nd SCORE San Felipe 250, the 50th BFGoodrich Tires SCORE Baja 500, the Lucerna Hotels & Resorts Tijuana 22nd SCORE Desert Challenge and the 51st SCORE Baja 1000. Airing on Sunday, Dec. 9 at 6:30 p.m. PT and 10 p.m. PT will be the Lucerna Hotels & Resorts Tijuana 22nd SCORE Desert Challenge on ERN. Check local listings for the broadcast time in specific areas. Hank Salyer, Steamboat Springs, Colo. SCORE racers who completed every required race mile in the season listed.